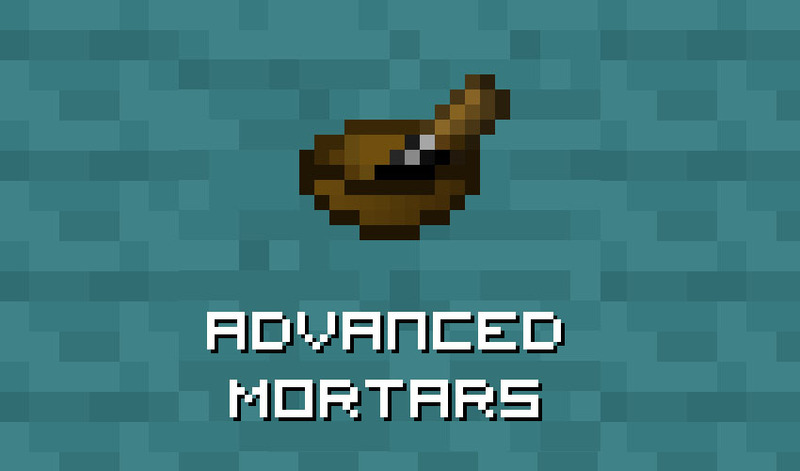 Advanced Mortars Mod 1.12.2 contains four in-world mortars, each with two recipe modes: mixing and crushing. Each mortar also has a configurable durability. This mod is designed for modpack makers. It contains only example recipes and is intended to be used with CraftTweaker. JEI integration is supported, however item transfer functionality has been intentionally omitted. 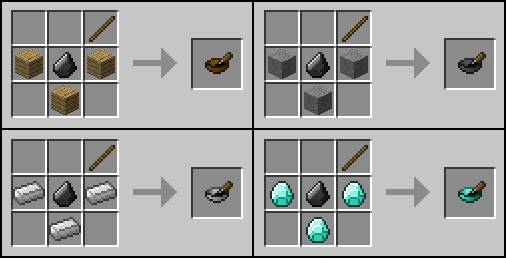 Four crafting recipes have been added, one for each mortar. 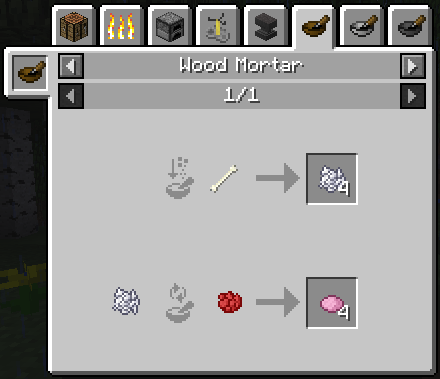 Two example recipes for each mortar are also included. The example recipes are intended for modpack makers to quickly grab the mod and test its functionality without having to first supply recipes via CraftTweaker and ZenScript. These recipes can be quickly and easily disabled in the config. Modes: Switch the mortar between the crushing and mixing mode by sneaking and right-clicking an empty mortar with an empty hand. Crushing: Place up to a stack of items in the mortar by right-clicking the mortar while holding the items. Then, perform the craft by right-clicking or holding down the right mouse button with an empty hand. Mixing: Place up to eight individual items in the mortar by right-clicking the mortar while holding the items. Then, perform the craft by right-clicking or holding down the right mouse button with an empty hand. Retrieval: Retrieve items in the mortar by sneaking and right-clicking the mortar with an empty hand. Pick-Up: The mortar can easily be picked up and moved by sneaking and left-clicking the mortar. When picked up this way, the mortar will retain its contents. Using the configuration file, you can change the durability for each mortar and disable the example recipes. Setting a mortar’s durability to zero will make the mortar invincible.